In addition, there is the "brain" of your heating and cooling system—the thermostat—which can also be an issue at times. If you cannot get the air conditioning system to activate at all, then the most common causes lie with a tripped circuit breaker or blown fuse, an improperly set or faulty thermostat, or an internal switch being off. Confirm that the thermostat is set below the current room temperature. Check that the 240-volt circuit breaker (double-pole breaker) controlling the air-conditioning compressor/condensing unit and the 120-volt circuit breaker controlling the furnace blower or separate air handler are in the "On" positions. If a circuit breaker has tripped or a fuse is blown, then reset the circuit breaker or replace the fuse. If you reset the breaker or replace the fuse and they trip or blow again, stop and call an air-conditioning service technician, as you may have a more serious problem. Confirm that all switches in and around the air conditioner are set to the "On" position including the external safety switch, which is usually on an outside wall next to the condensing unit. Check the condensate overflow tray (if your unit has one) for excess water. Sometimes this tray is installed in remote air handlers using condensate collection instead of a condensate drain. When using a tray, there may be a sensor switch that turns the unit off when water collects in the tray. Make sure the blower door on the air handler is securely closed. Poor airflow usually results from a dirty air filter or ductwork that has become blocked, crimped, or even disconnected. Confirm that the air filter in the air handler is clean. If it's dirty, clean, or replace the air filter. Visually inspect all ductwork to make sure it has not become disconnected or crimped. This includes ductwork that may be in the hard-to-reach attic, basement, or crawl-space areas. Repair or connect ductwork as needed. Check register dampers on vents in the rooms to make sure they are fully open. This problem can be caused by an air-conditioning system that is too large for the house. If your system has always failed to dehumidify adequately, and it commonly short cycles (turns on and off frequently), an oversized system is ​a likely cause. An oversized system can cool the air so fast that the thermostat shuts off the system before much of the humid air has made its way across the cooling coil to get dehumidified. Poor dehumidification can also be caused by excessive humidity in the home. This may be caused by water leaks or open windows during humid periods or by a lack of proper condensate drainage from your evaporator coil in the furnace's plenum. 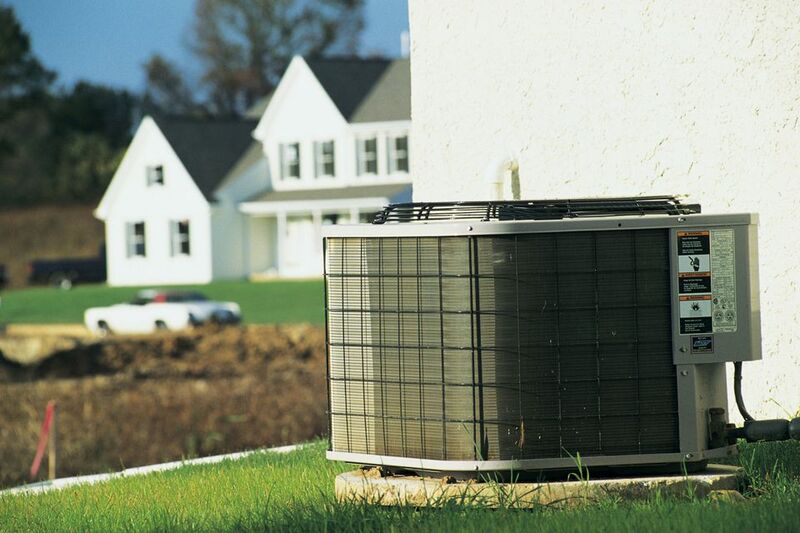 A properly functioning cooling unit produces condensate and drains it away. If your unit is not producing condensate, its cooling and dehumidification functions are not working properly. Ensure all windows are closed so humid air does not come into the home. Check that condensate drainage is working properly. Add supplemental dehumidification with a portable dehumidifier. Inadequate cooling coupled with a long “On” cycle of the compressor is a sign of a worn-out compressor that has lost its ability to compress refrigerant. Have a service technician test the compressor and possibly replace the part. A short-cycling compressor—one that turns on and off frequently—can be caused by an obstructed thermostat, leaking refrigerant, iced coils, or, in some cases, an oversized cooling system. Ensure the thermostat is not obstructed. Check the condenser fins in the outside condensing unit to make sure they are not dirty or excessively bent; repair bent fins with a fin comb. Replace the air filter in the air handler if it is dirty. Have a service technician check for an incorrect refrigerant charge or refrigerant leaks. Replace an oversized condensing unit and coils (requires a service technician).